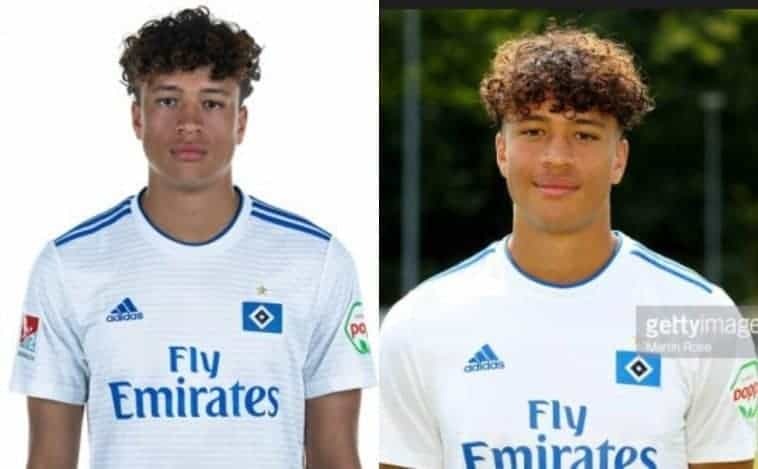 German-born 18-year-old defensive midfielder, Jonas Benjamin Chimezie David, has revealed why he has chosen to play for Nigeria instead of Germany. David, who led the U-19 of Hamburg to glory last season, is widely viewed as one of the top prospects in the club’s academy. OwnGoal revealed why he opted for Nigeria ahead of Germany and his immediate aim of playing for Nigeria at any level. He was quoted as saying, “I want to make my father proud and playing for the country that he comes from will help me fulfill my aim of making him very happy. “I am blessed with the most wonderful set of parent. They support my decision and I pray it comes to pass soonest than later. “I have not been to Nigeria yet, but this is a fact I really want to change in the nearest future. Hopefully, before, or if I get invited to any of the national teams of Nigeria. “Honestly, I want to progress through the ranks, meaning, I will love to start from the youth teams but that doesn’t mean I’m not eyeing the senior national team of Nigeria. “John Obi Mikel, the captain and I share similar characteristic as midfielders and I hope to emulate his success with the Nigerian team and also match his achievement at club level,” he told OwnGoal.